When you think about high tech communications and social networks, chances are that the U.S. Government doesn’t exactly spring to mind. However, there are some government agencies making a good show in social networking to raise awareness and educate the public on its projects. 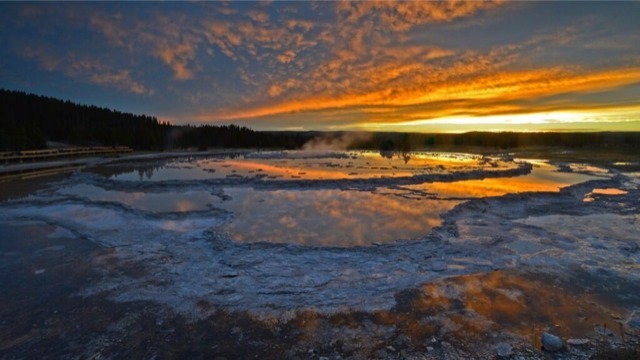 Of particular interest are NASA and the Department of the Interior, both of which juggle hundreds of individual social presences. While this may seem like a far cry from what we use social for in business circles, we’re definitely interested in how these large government agencies manage multiple social channels with apparent ease, all while engaging audiences and building follower counts. So just how do these organizations do it and what can we learn from them? 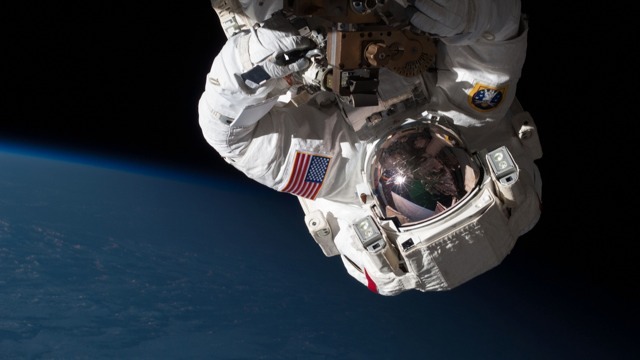 NASA has nearly 500 individual social media accounts spread over numerous social networks, covering the agency’s many projects and field offices. And the Department of Interior has a similar story — it manages thousands of accounts, some at the department level and more in the bureaus it oversees, like the National Park Service. Keeping tabs on all of that activity is an impressive feat, especially with the small teams both agencies have — two people at NASA and three at Interior. With so many accounts, the exact social reach of these organizations is hard to measure. 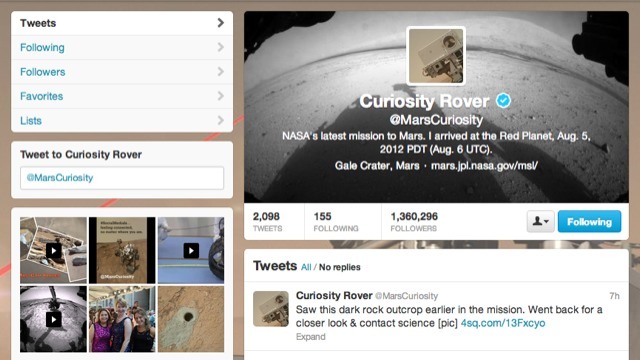 On Twitter, @NASA reaches over 4 million followers and on Facebook it has 2 million Likes. But if you look to NASA’s field centers, you’ll find Goddard has 93,000 Twitter followers with an additional 45,000 followers on a separate Twitter account highlighting photos. As the only NASA presence on photo-sharing service Instagram, Goddard has an impressive 314,000 followers. As to how both have built followings, content is king. “Not only do we think a lot about what we post and interact with the audience constantly,” says Aries Keck with NASA Communications at Goddard, “We also have the benefit of having great, astounding, at times literally out of-this-world content to share.” Interior doesn’t have out of this world images, but it does have some incredible earth-bound photography featuring the National Parks and other public lands. The stunning photos highlighted on Instagram — and the department has plans to take them to the newly redesigned Flickr, too — has led to organizations ranging from Buzzfeed to the Washington Times pointing them out as a must-follow. Not every organization is of the size to have hundreds of social media accounts. However, the core social media strategy that both NASA and the Department of the Interior are using to spread their messages makes good social sense for any organization. You can basically break their success down into the following two rules. First, only share things that are worth sharing. 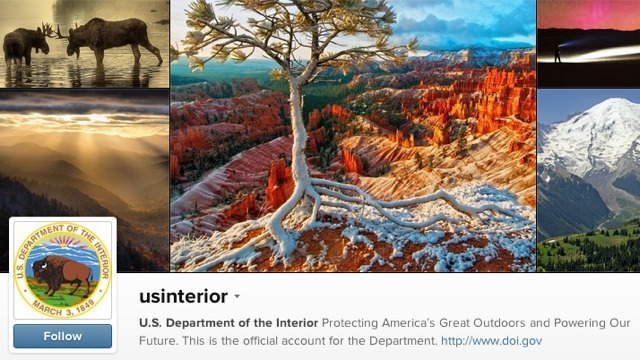 While we all don’t have access to the amazing images that NASA and the Department of the Interior display on their social pages, we can make sure that we’re only posting links, content, and other information that’s worth our followers’ time and interest. Second, engage your audience. A social network isn’t a void, and if your followers are talking to you, you should be talking back. Additionally, everyone we spoke to at these government agencies was passionate about the work they do. Passion definitely shows in their interactions with their followers and is a huge contributing factor in their success.